More than 50 people attended a Prayer and Lament Service at the Chapel of the Australian Centre of Christianity and Culture to acknowledge, lament and pray as we approach January 26th. 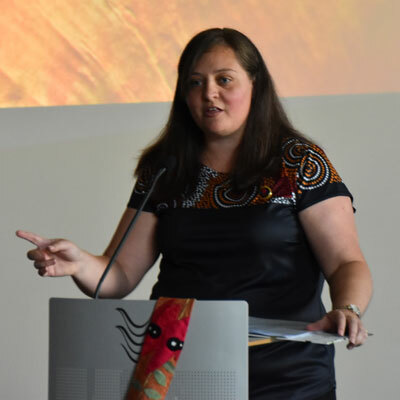 The service on January 18 was lead by Aboriginal Christian Leader, Brooke Prentis, Aboriginal spokesperson for Common Grace and the Canberra event was the first of 15 services in Australia. 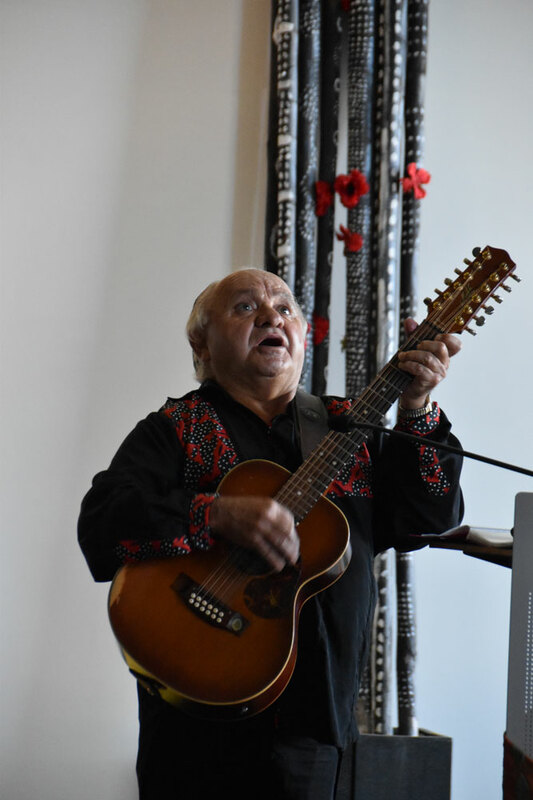 The hour-long service featured acknowledgement of Country, singing, bible readings, a history of Australia Day, a joint prayer by Wiradjuri man Uncle Johnny Huckle and Hazel Davies, a list of injustices and a message by Brooke Prentis. ‘What are people celebrating on January 26th?’ asked Ms Prentis. 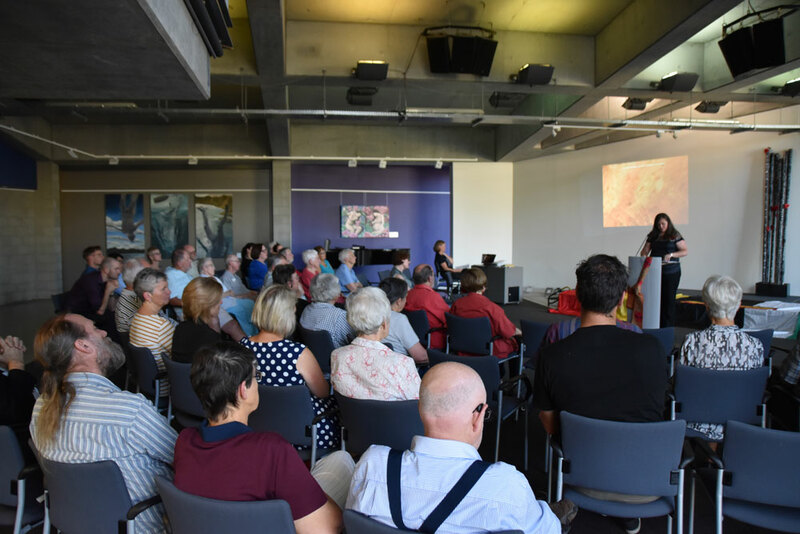 She noted the recent extensive research and work done by the University of Newcastle to produce an online map which helps visualise the extent of Frontier Wars in Eastern Australia from 1788-1872. ‘They have defined a massacre as the killing of 6 or more people. More than 170 massacres of Aboriginal peoples, over 3,500 Aboriginal people murdered. In contrast, 39 colonists dies in 6 massacres,” she said. She called for Christians in Australia to come together and call out injustices. ‘Coming together and fulfilling our role as Christians in this land now called Australia is more important than one day a year having some lamb on the barbie, meat pies, and lamingtons with your mates,’ she said. People also had an opportunity to write prayers on post it notes and place them on an Aboriginal Language Map of Australia. The Centre held its first prayer and lament service last year in partnership with Common Grace. The concept for the services was developed by Aunty Jean Phillips, an Aboriginal Christian leader. She first led a service in Brisbane 6 years ago and had about 30 people in attendance. This year’s Canberra event was organised by Katherine Rainger and Hazel Davies. The service continues the original vision for the ACC&C as a place to encourage reconciliation between the first peoples of Australia and later comers. We believe this happens through a commitment to openness, truthfulness and justice under the canopy of prayer and hope for a new future. Photos from the 18th of January are available on the ACC&C Facebook page.